A 9-speed, triple crankset with melt forged arms that comes in either square taper or Octalink bottom bracket options. 50mm chain line with a 113mm spindle. Alloy crank arms. Steel chain rings. Color: Black. Spindle Interface Type: Square Taper JIS. Pedal Spindle: 9/16". Chainring BCD: 104. Chainring BCD: 64. Rings: 44/32/22. BB Included: No. Crank Intended Use: Mountain. Defined Color: Black. 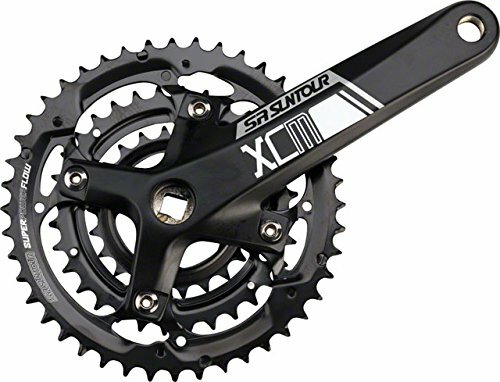 Crank Length (mm): 175. Drivetrain Speeds: 9. Number of Chainrings: Triple. Chainline/Hub Compatibility: 135/142 MTB Hubs.